Pattern Play 05 — Spruce Rd. Pattern Play 05 | Spruce Rd. Happy monday everyone!!! This was the first weekend in a long time where we didn't have any plans... it felt so nice to actually relax and enjoy my saturday! 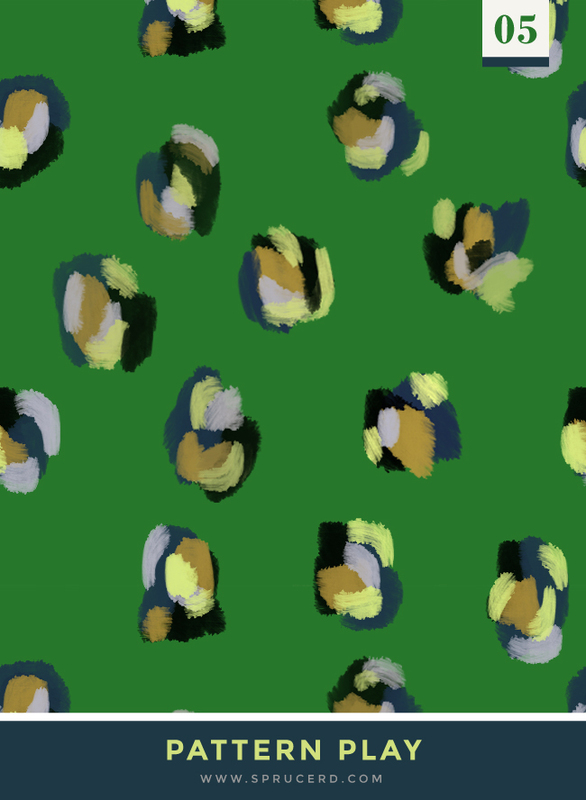 For this pattern play, I used a painterly effect again. This time, it is more abstract, and branching out to a different color palette than the feminine pinks I have been working with :). Hope you have a great rest of your day!